Spelling Words Well equips professionals, teachers, and learners of all ages to become impeccable spellers. What spelling resources do you need? Use the tabs on the left or the links below to find just the right thing. 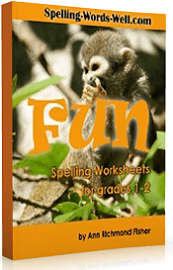 We offer lots of word lists, games, worksheets, and spelling lessons for teachers and parents. Don't miss these homework ideas! Looking for something specific? Visit our Site Map! There you will find links to every page on our site, organized by topic or grade level. Download your favorite eBooks today! 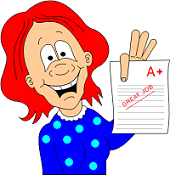 50 all new pages for grades 1 and 2. Lots of fun formats to keep learners engaged! Writing prompts, partner games, word play puzzlers and more for almost any spelling words! 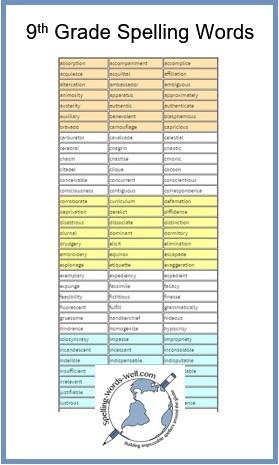 Try our Mammoth Spelling Bee Word Lists. Available for grades 3-4, 5-6 and 7-8. 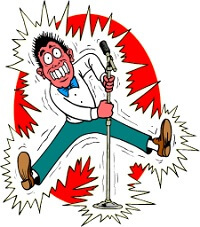 Each list has 400 words plus definitions, parts of speech, sentences and language of origin. Each list contains words not found in any of our other eBooks. Visit our STORE to see our complete selection! 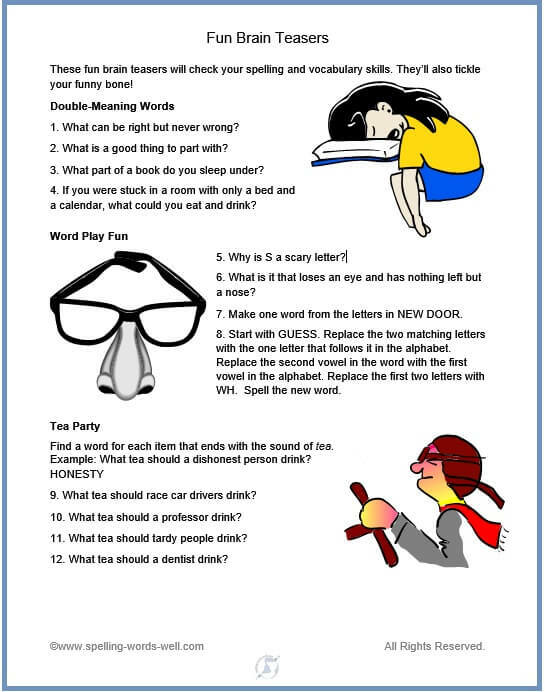 We have lots of spelling worksheets and spelling bee resources. How many seperate words are mispelled in this single pargraph? Its no exageration to say that you may have all ready found as many as six or seven errers. But don't quite looking yet. Their may be a few more. But then agian, whose counting? Scroll down to the blue button for the answers! Please check out our growing collection of grade level word lists, writing prompts, spelling worksheets, seasonal bulletin boards, phonics games and activities and brain teasers, at two different levels. There are so many great ways to teach and reinforce spelling skills! Be sure to poke around our site for awhile to find just what you need. If you'd like to receive my newsletter, you may sign up here. I send out a batch of fun spelling ideas, word plays, and articles about once every month or two. If you can't find something, please contact us and let us know what you'd like to see. We do respond to your questions and comments. "My 8 and 11 year old sons struggle with spelling. I was looking for free printable resources and struggled to find fun and engaging ways for them to improve it. I came across your website and found lots of free resources that are educational and engaging at the same time. "Where have you been all my life?!!! This is the best spelling site I've ever seen! I've been tutoring a girl for 2 years who canNOT spell although she's very bright. I'm always looking for ways to make it more fun and I don't have to look anymore."